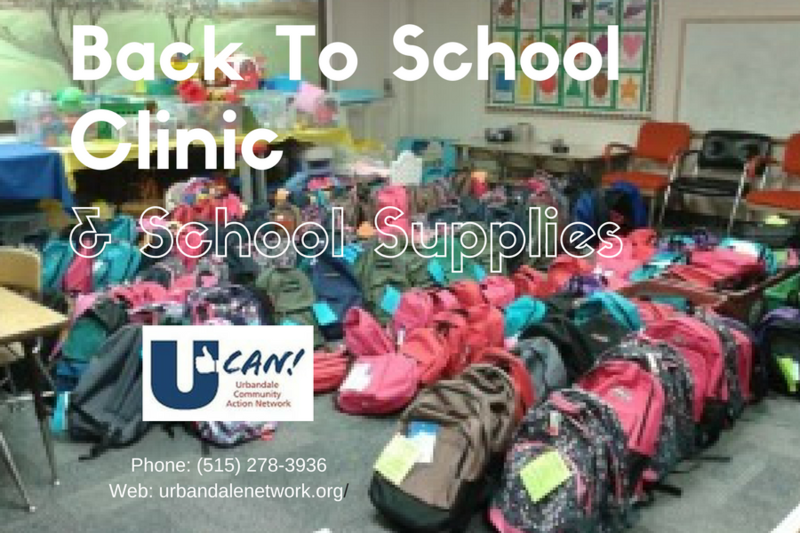 UCAN has partnered with Urbandale School District and the Polk County Health Department to sponsor an annual immunization clinic. Typically immunizations, eye and dental exams, and school physicals are offered. 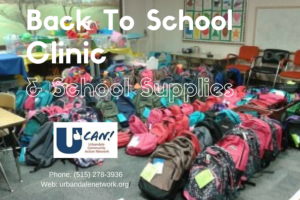 Any child who participates in the health clinic, and is in need, receives a backpack filled with school supplies for their appropriate grade. The 2018 Immunization Clinic and School Supplies event will be held on Thursday, August 2nd, 2018 from 2:00 to 6:00 pm at the Urbandale Middle School.